With billions of information on the internet, search will need to keep evolving to meet our needs. "Google, where's the nearest petrol station?" It's hard to believe, but the modern web search engine will be 20 years old this year. 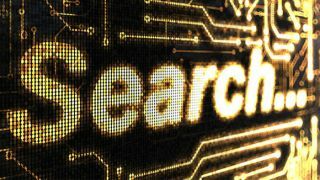 While the software, algorithms and pure smarts underpinning search services have evolved dramatically over the years, what hasn't significantly altered is the way we use search tools. The established 'seek and ye shall find' request-and-response ritual essentially remains unchanged from two decades ago. That was the case up until now. In line with the rise of mobile computing, a new range of search technologies are starting to be able to give us answers to questions we haven't even asked yet. These apps are learning to predict what we want to know, based on our content and context, our location and habits. While it might sound like science fiction, it's actually very real, but it's also important to keep our expectations in check. If it took conventional searching 20 years to get to the point where it is today, it's unrealistic to expect services like Google Now to be instantly mature and cognisant of exactly what you want straight out of the box. The best example of this is the saga of Siri. Apple's famous digital assistant wowed the tech world when it was unveiled at the launch of the iPhone 4S in 2011, but as the gimmick of asking your phone silly questions wore off, many commentators criticised the less-than-completely perfect nature of Siri's capabilities, as though the world's first pocketable intelligence should ship without shortcomings. Instead, we should realistically expect a healthy amount of hiccups in these first and second-gen offerings, as predictive, social and location-aware technologies slowly (but fundamentally) reinvent the ways we discover relevant information about the world around us — and all with no searching required. Google Now is unmistakably at the forefront of the next-generation search space, although Siri likely enjoys better popular recognition due to all the media coverage it's garnered. Google Now was introduced last year for Android smartphones and tablets as part of Google's regular Search app (but in order to use the Google Now-specific features you'll need a device running at least Android 4.1 aka Jelly Bean). And just last week, Google made it available for iOS also via the Google Search app. To use Google Now in Android, you just start the Google Search app or swipe up from the bottom of your screen. In addition to being presented with the standard Search bar at the top of the display, you'll see a series of 'cards' underneath that try to predict information which will be of use to you based on your location, the time of day and what you might have coming up next. It also has a voice recognition feature to carry out a voice search much like Apple's Siri. The range of Google Now cards is really quite huge and includes: an activity summary of distances travelled; calendar-based events like birthdays, meetings and appointments; flight, hotel and restaurant bookings sourced from your Gmail; photo spots, places of interest and movie sessions playing nearby; public alerts and news updates; plus sports, stock, weather and commute/traffic information. All of this is fed to you automatically within the app, with no special input from you required to call it up. Google Now offers information it thinks you need. The killer feature of Google Now is it learns how to help you better the more you use Google services, and it's totally automatic once you've turned it on. The drawback is as yet it's only available on a limited selection of Android handsets, although this might change in the future — and it's even been rumoured that Google Now could be coming to Google TV and Chrome on the desktop.